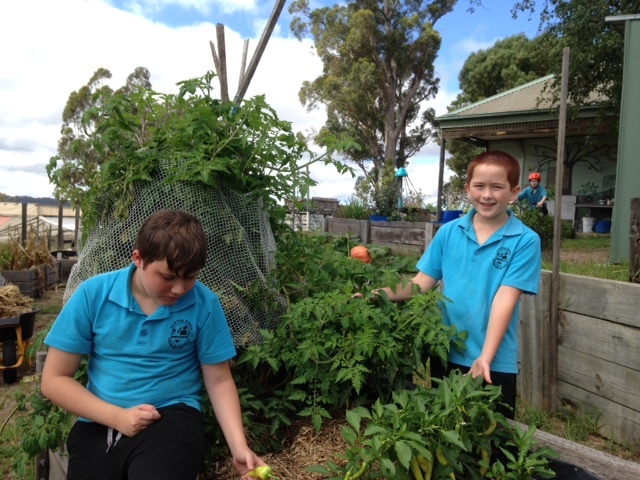 Capsicum and tomatoes await harvest in one of the older wicking garden beds. 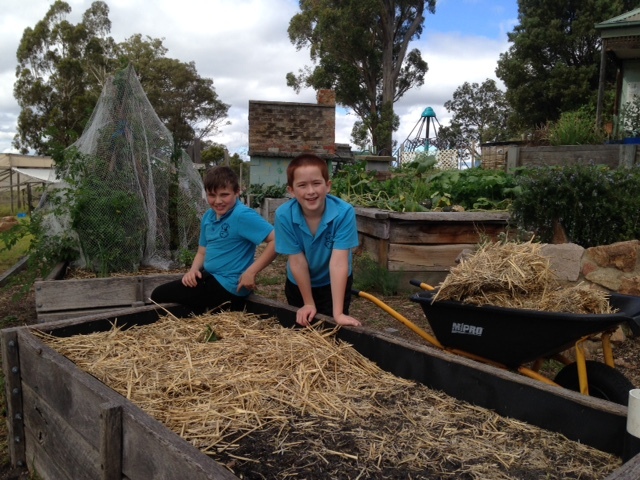 We now have two extra wicking beds in our garden, through the efforts of Jill and the students over the past few weeks in our Stephanie Alexander Kitchen Garden program. The value of the wicking beds has been very obvious over the long dry summer we have had— moisture is better retained in the soil and utilised by plants, water is delivered to the root zone and beds have remained productive. This is in contrast to the arid beds that have not been able to grow veggies despite our best attempts to keep them watered. 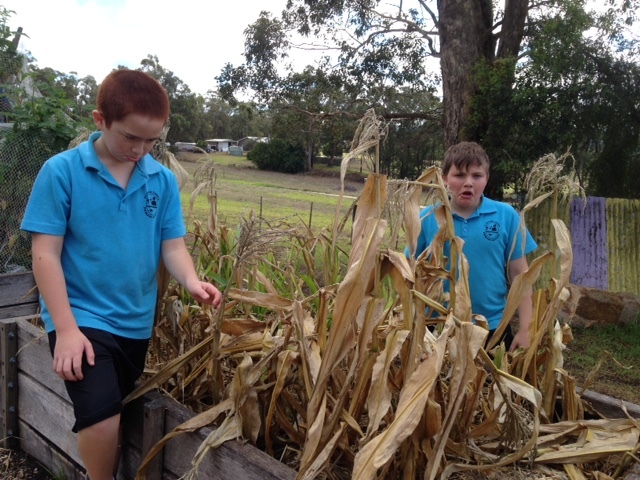 A poor corn crop from our non – wicking garden bed and two sad faces. All the hard work has been done on our new wicking bed and it is ready for the vegetable seedlings now! 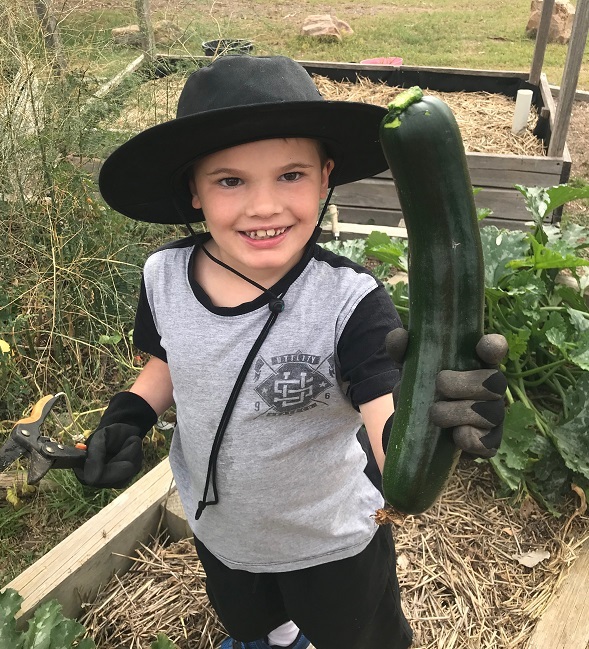 The great zucchini harvest from one of the wicking beds. 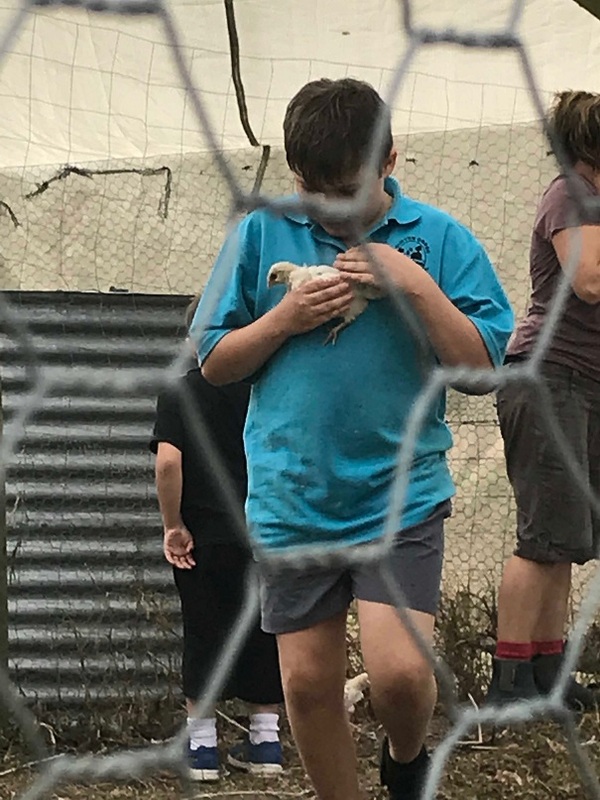 Making friends with the newly arrived chicks. And even though we have just had a drenching 42 mm of rainfall over the past couple of days, we are still very glad for the two extra wicking garden beds which will be fully operational next spring and summer. We can’t wait to plant them out with the next vegetable seedlings.